1. Troels Hammer - "Diaro Del Silencio"
2. Eva Hassine - "Lion Eclipse"
3. Findlay Brown - "When The Lights Go Out"
4. Prins Emanuel - "Oron"
5. Nordso & Theill - "Hope"
6. Citizen Of Peace - "Humanature (Cosmic Blessing By Cam)"
8. Aussteiger - "Francis Boogie"
9. Chris Coco & Camillo Miranda - "Dinosaur Bab"
11. Jacob Gurevitsch - "Motivo Loco"
12. Furniture - "Why Are We In Love"
2. Willie Graff & Darren Eboi - "Love Fight"
3. Islandman - "Future Days"
7. Camelphat & Elderbrook - "Cola"
9. Earth Trax & Newborn Jr - "Bailando"
12. Betina Bager & Brian O - "Cap Verde"
14. 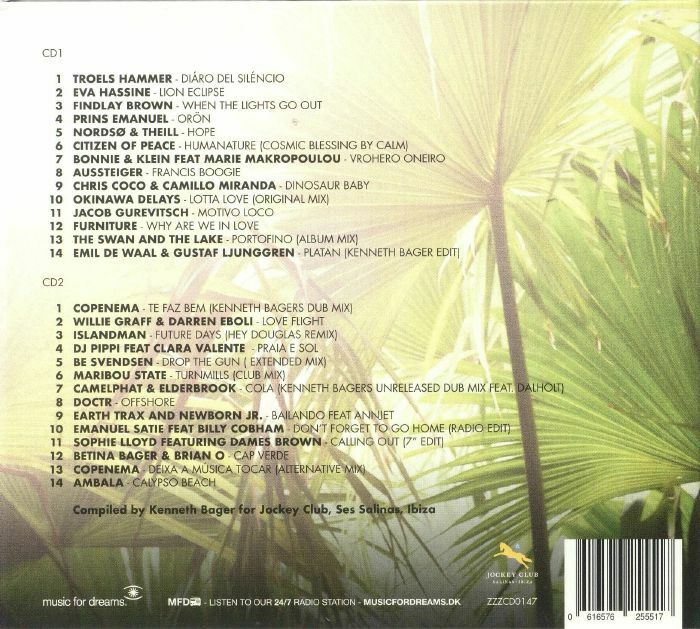 Ambala - "Calypso Beach"
Danish scene veteran and Music For Dreams overlord Kenneth Bager is undoubtedly one of the best Balearic DJs around. 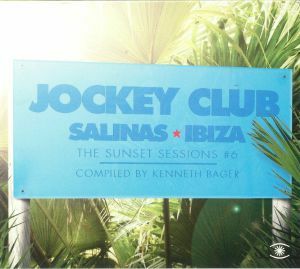 He has umpteen residencies on the White Isle, but it's his association with the beachside Jockey Club venue in Salinas that has become the most celebrated - thanks, in no small part, to his now annual, two-disc mix-ups. This year's edition - the sixth in total - is every bit as beguiling as its predecessors. It features a slowly shifting, soft-focus mixture of European new age favourites, sun-kissed jazz-pop, classic-sounding chill-out fare, slow motion disco, superb acoustic workouts, dub-wise electronica, contemporary dream house and spacey Balearic floor-fillers. Oh, and one of the tunes of 2018, Sophie Lloyd's gospel disco smasher "Calling Out".